We all pay great attention when we are about to join a new job. We do all necessary to leave a good impression to our bosses, colleagues and subordinates. We should do the same when we decide, no matter the reason, to quit our current job. Job quitting requires the same sort of planning we pay when we join a new job. In such a tightly-connected world of business nowadays, you should plan to leave the same good impression to your boss, your colleagues and your team as well. 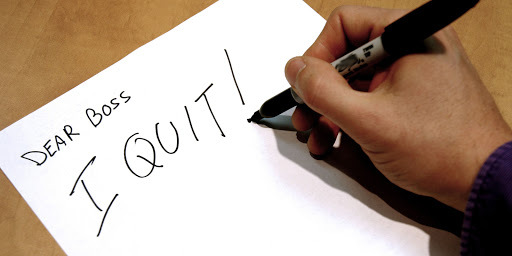 Once you decided to resign, the first person to know should be your direct boss. Don’t get into the common mistake of disclosing your intent of resigning to your closest colleagues. This could be very harmful and may have a very bad effect When it gets known by your direct boss. Once you told your boss, you need to collaborate with him/her on a smooth and candid handover. Don’t leave any pending issues concealed. But collaborate with your boss on the best way to tie loose-ends issues. Former coworkers are a crucial part in your network, and you want to keep those relationships intact. So, don’t give different reason of quitting to different groups. Express gratitude for everyone supported you (consider very simple gifts or thoughtful notes to your colleagues and supervisors). Don’t be short-sighted, you can sacrifice some near benefits in order to maintain good reputation. If you are leaving your job because you were not satisfied with your current situation. Try to be objective and honest and give the required feedback that you believe it could help sort out these bad issues. While doing so, please keep your professionalism and don’t be overacting. Finally, don’t use exit interview to air grievances. But try to give the same impression of professionalism by being honest, rational, and straightforward.